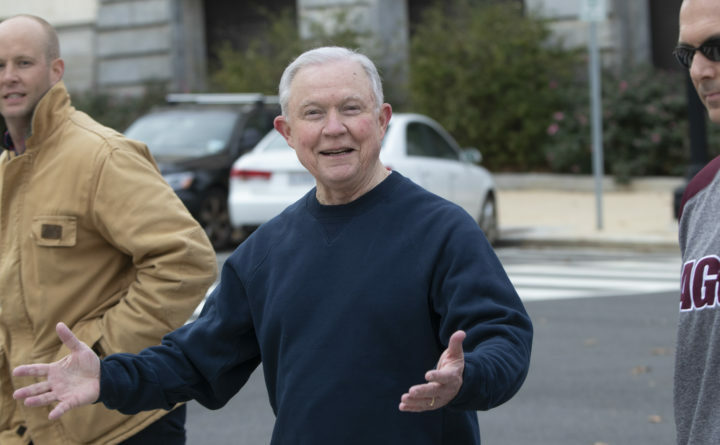 Jeff Sessions, ousted last week from his job as attorney general by President Donald Trump, smiles as he exercises Monday during a brisk walk across the grounds of the U.S. Capitol in Washington where he served for 20 years as a Republican senator from Alabama. So if you are thinking about honoring Sessions for having the courage to fend off Trump’s sword for two years, please don’t. Sessions is no hero. He’s a Southern demagogue who used the Justice Department to legalize bigotry. Dahleen Glanton is a Chicago Tribune columnist.